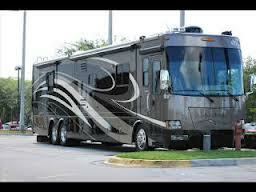 Thor Motorcoach is recalling certain model year 2008-2010 motorhomes, manufactured June 1, 2007, through May 1, 2009 and equipped with an Iota ITS-50R Transfer Switch. The models affected are Four Winds brand models: Chateau, Dutchmen, Hurricane, Windsport, Magellan, Fun Mover, Presidio, and Mandalay. Wiring connections inside the transfer switch are not adequate and, as a result, the switch may overheat. An overheated switch could cause it to fail and lead to a fire. Got a Four Winds motorcoach? Want a new Four Winds motorcoach or your money back?